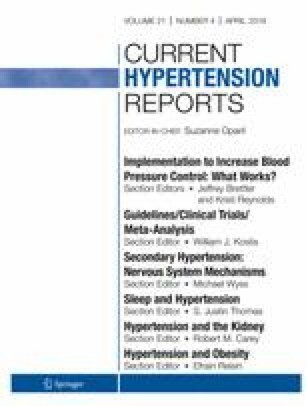 This meta-analysis and systematic review was conducted to evaluate hypertension and prehypertension prevalence, awareness, treatment, and control in Iranian adults population. In this study, six international and national databases were searched from inception until August 30, 2018. Forty-eight studies performed on 417,392 participants were included in the meta-analysis. Based on the results of random effect method (95% CI), the overall prevalence of pre-hypertension, hypertension, awareness, treatment, and control were 31.6% (95% CI 24.9, 38.3; I2 = 99.7%), 20.4% (95% CI 16.5, 24.4; I2 = 99.9%), 49.3% (95% CI 44.8, 53.8; I2 = 98.5%), 44.8% (95% CI 28.3, 61.2; I2 = 99.9%), 37.4% (95% CI 29.0, 45.8; I2 = 99.3%), respectively. Considering the increasing prevalence of pre-hypertension, hypertension, as well as more than half of the participants were unaware of their disease and were not treated, the results of the present study can help policy-makers to increase hypertension awareness, control, and treatment, especially in high-risk individuals. The authors declare no conflicts of interest relevant to this manuscript. Federation WH. Cardiovascular disease risk factors. 2015. http://www.world-heart-federation.org/cardiovascular-health/cardiovascular-disease-risk-factors. Accessed 27 september 2018. Ramezankhani A, Kabir A, Pournik O, Azizi F, Hadaegh F. Classification-based data mining for identification of risk patterns associated with hypertension in Middle Eastern population: A 12-year longitudinal study. Medicine. 2016;95(35). https://doi.org/10.1097/md.0000000000004143.